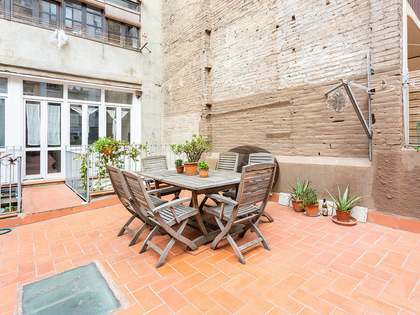 Fully renovated 2-bedroom apartment in an excellent city centre location, between the Poble Sec and Sant Antoni neighbourhoods. 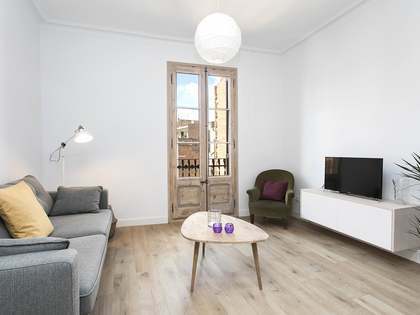 Renovated 2-bedroom apartment on Avenida Paral.lel, between the fashionale Poble Sec and Sant Antoni neighbourhoods. 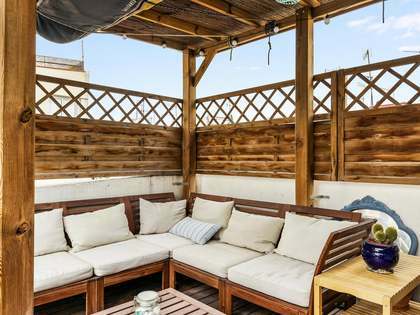 This location, close to Calle Blai and Parlement is perfect to make the most of life in the city. The extensive cultural and gastronomic offering in this neighbourhood includes Ferrán Adrià's world renowned restaurants. The building and the apartment are both modern, the building was constructed less than 10 years ago whilst the apartments within have been newly renovated to a high standard. This third floor apartment, measuring 71m², has 2 bedrooms, both of which are exterior facing with views over Paral.lel. One of the bedrooms is a spacious double whereas the second is smaller and could be used as an office if desired. 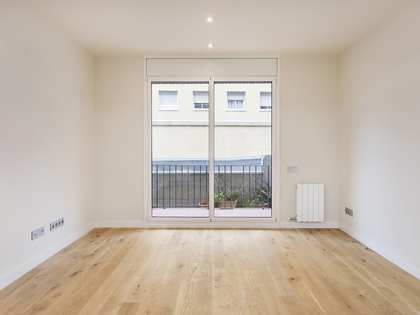 The apartment has a large living-dining area which opens onto a 5m² balcony. The open kitchen is modern and well equipped with Bosch appliances. Further highlights include attractive parquet flooring throughout and heating and air-conditioning systems for comfort throughout the year. It is possible to purchase a parking space in the same building for €18,000 or a motorbike parking space for €4,000. An excellent 2-bedroom apartment for those seeking a renovated property or second residence in a city-centre location. 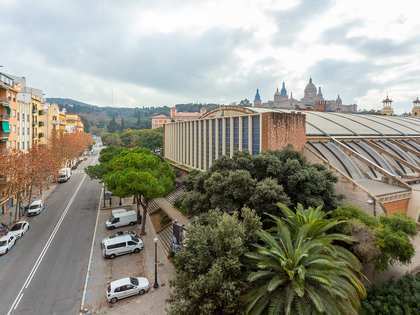 Located close to Calles Bai and Parlement, as well as Ferrán Adrià's world famous restaurants, the cultural and gastronomic offering in this area is impressive. All necessary services including schools, hospitals, pharmacies and supermarkets can be found nearby and the area is well connected to the rest of the city by bus and metro.